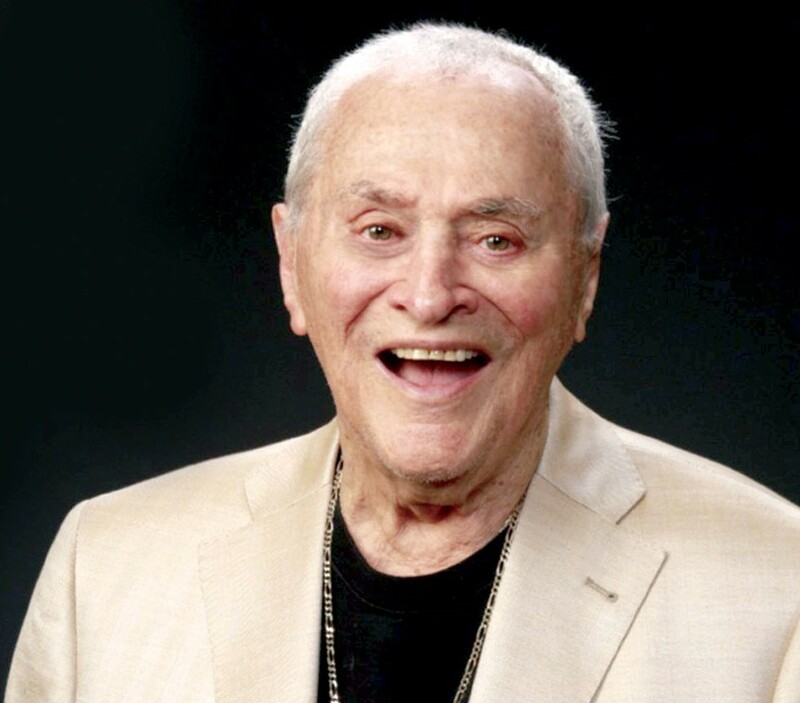 After an 80-year career in jazz and about as many recordings to show for his time, vibist Terry Gibbs, now 92 years old, finds himself in the most unlikely of places: at the very top of the Jazz Charts, otherwise known as #1. “It’s amazing isn’t it?” says Terry from his home in Los Angeles. 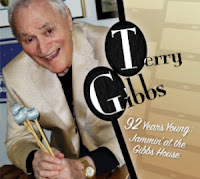 “I guess that’s what you get when you put four great players together in a room and let everyone just have fun!” 92 Years Young, Jammin at the Gibbs House is, by most accounts, Terry’s swan song, his final recording. But what a way to go. 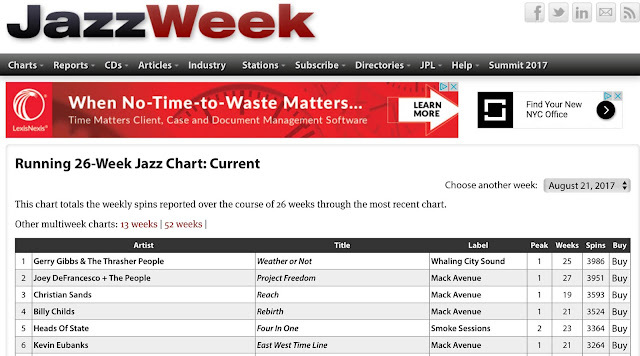 Gibbs, the son, has had a pretty good string of successes himself, landing his last four discs on the top spot of the same jazz chart, and his last recording Weather or Not (with Thrasher People) is the most played disc in the country on jazz radio. When you hear his work, you won’t disagree with that assessment. Donahue is a world-class player and an adept arranger, author and educator. 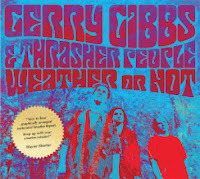 He is also well-connected, as evidenced by the band he’s assembled here, which includes sax legend Jerry Bergonzi and renown guitarist Mike Stern as well as Ralph Peterson on drums. Other phenomenal talent on the record includes pianist Tim Ray, Tamir Shmerling on bass, and drummer Larry Finn. His curiously titled new album, The Bug, is an exploration of a spectrum of jazz vernacular and an eclectic musical celebration. From meticulously arranged funky fusion with Stern’s searing electric guitar, to more traditional, but still exciting jazz settings—from Weather Report and Miles to Mingus and Monk—Donahue blazes trails, leading the way with varied tones and tactics. The approach lends The Bug a surprising variety and a spectrum of harmonic sophistication, melody and intimate expression. 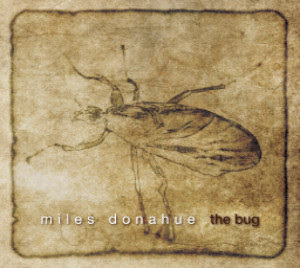 Miles Donahue's career in music has included several detours over the years. 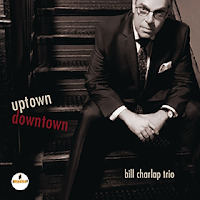 He did not begin his commitment to jazz in earnest until the late ’80s, although its early as the ’60’s he performed at many venues with his own group that featured Harvie S, Bergonzi, Charlie Banacos, Nick Goumas and Jack Diefendorf. When the time came to rejoin jazz later, he did so with gusto, encouraged by Bergonzi who knew his friend was the real deal. In the early ’90s, Donahue relocated to Europe to begin this second phase, understanding that the hunger for jazz on the continent outweighed that found in the United States. 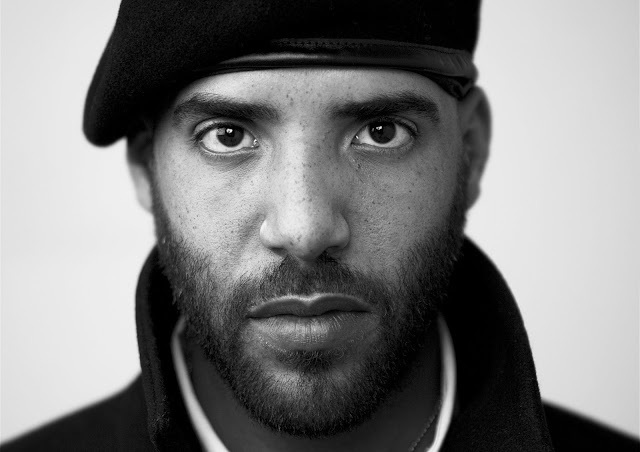 In the early ’00s, he would later form his own label, Amerigo Records. His first few outings during that period would co-star an array of great players, including Fred Hersch, Bergonzi, Jamey Haddad, Kurt Rosenwinkle and Jay Anderson. You can certainly be judged accurately, especially in this case, by the company you keep. 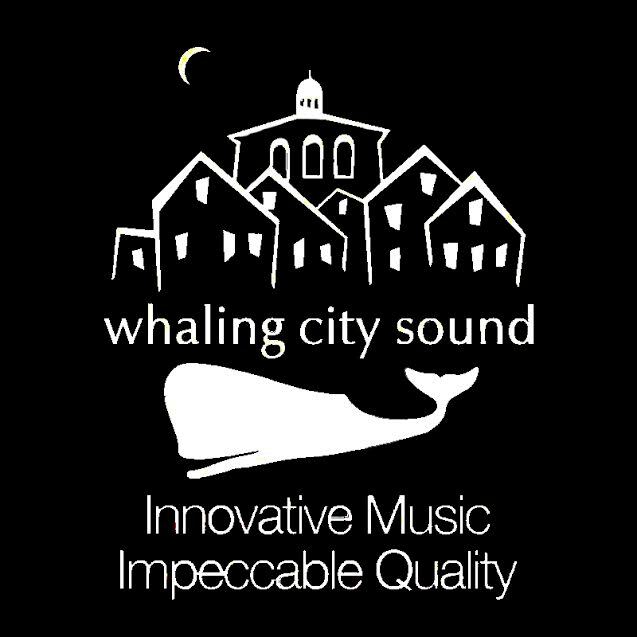 We agree, and you’ll find that Donahue’s Whaling City Sound debut is prima facie evidence. In most cases, jazz is regional. Most musicians have to begin somewhere, they spend their time refining their art and preparing to introduce their work to ever-bigger regions. And so reads the next chapter in Steve Langone’s unfolding jazz history. To the wider world of jazz, the drummer’s name is still rather unfamiliar. But that’s because he is still refining. The Boston jazz audience certainly knows Steve’s work. They know he has accompanied a healthy clutch of luminaries—a list that includes Claudio Roditi, Howard Alden, Anat Cohen and dozens more. They also know that they are about to bequeath their beloved drummer to the wider jazz world, thanks in part to Breathe, his new recording and his second on Whaling City Sound. 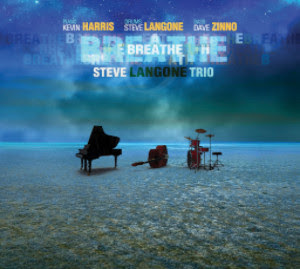 His fourth set as a bandleader, Breathe could be titled thusly because Langone is subliminally nudging himself forward; he’s telling himself to hit the “pause” button between his numerous sessions and stay put long enough to draw a little attention to his own work, which as it happens, is truly stellar. Joined by Kevin Harris on piano and Dave Zinno on bass, Langone’s trio is absolutely lovely, really tasty. The tunes on Breathe tackle a repertoire spanning both super early folk songs and spirituals and a few originals. The recording as a whole is beautifully arranged and played with panache, especially on heartwarming renditions of Rogers’ “It Never Entered My Mind,” the quietly funky “Sometimes I Feel (Like a Motherless Child)” and the quiet epic “Shenandoah,” which is guided by Zinno’s melancholy bass and closes the session. For the originals, Zinno has two tracks here, and Harris and Langone contribute one apiece. The bandleader’s “Glow,” moody, complex even as it’s restrained, is a standout. In fact, there’s a hushed beauty, all across this album, thanks to the masterful acoustic performances, which really gives the recording a stoic sort of elegance. For those who have been listening to great jazz in the Boston environs for the past decade, the gorgeous results on Breathe will not be surprising. Langone is the kind of musician whose talent is noticed when heard in any of the numerous ensembles with which he has performed, and whose range is obvious. But for those outside that area, who might just be hearing Langone’s work in earnest for the very first time, welcome to the club! We’re sure you’ll find something to love. Close your eyes and Breathe. The music inside Marcus Monteiro is an unstoppable force, a drive that won’t quit. The sounds that come from him are many, as if he can’t decide what to play, so he plays everything. He plays and plays and works and works until he can’t. He practices and practices something/anything until he’s mastered it. He is powered by nature and he is a vessel from which sounds emerge. It sounds crazy. But the guy is born to make music. Once he corrals that energy and focuses that ambition, he stops just long enough to craft it into a new recording. 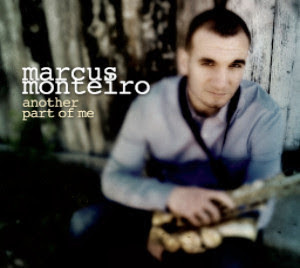 Another Part of Me, the perfectly titled new Marcus Monteiro Quartet collection comes as good news indeed. The alto saxophonist plays with the ebullience and energy of Maceo Parker and the enthusiasm of a beggar at his first banquet. The recording, Another Part of Me, is a dramatic raising of the bar for the tireless lion, a hyper link to the next level in terms of tunes, in terms of notes, in terms of all around alchemy. Joined by John Harrison III on piano, Fernando Huergo on bass, and Steve Langone on drums, Monteiro is in excellent form, surrounded by equally energetic band-mates, all of whom are driving in the same direction. Engineered, mixed and mastered by Peter Kontrimas, Another Part of Me covers a wide palette of material from such far-ranging sources as Horace Silver (“Sister Sadie”), Don Byas (“Slammin Around”), Stevie Wonder (“For Once in My Life”) and, yes, Soundgarden (“Fell on Black Days”). Monteiro’s purposeful variety, indeed his entire MO as an artist, defiantly resists characterization. He regularly escapes definition and consistently crosses boundaries, with wide-ranging tastes, great material and equally great accompanists. In fact, he’s played with artists as diverse as George Clinton, Esperanza Spaulding and Charlie Hunter, in addition to a variety of other musical genres. Monteiro’s ability to bridge the classic and the contemporary is one of his signatures and a huge reason why he and his quartet, especially on Another Part of Me, his latest and best Whaling City Sound album, need to be heard here and now. All About Jazz calls her “first rate, no doubt about it.” Now the sultry, uber-talented Alma Micic has arrived with the sublime new That Old Feeling, her fourth recording and the definitive emergence of an important new voice. Born and raised in Serbia, she began singing jazz and big band as a teen before attending the prestigious Berklee College of Music in the late ’90s. Since then she’s polished her ample abilities as a singer in New York City, all of which are remarkably evident on her new album. Her vocal skill is effortless and understated. Her timing and melodicism are spot-on and her performances on songs like the searing “Cry Me a River” and the coy “Honeysuckle Rose” are bewitching. At times she sounds young and playful, at others she sings with the wiles of someone who has seen it all. Whichever persona she chooses, whatever song she sings, and however she sings it, Alma comes through. Don’t hesitate to give her your time. Music has taken saxophonist and composer Phil Scarff and pianist Lewis Porter to many places. They have performed and recorded around the world, as have their colleagues bassist John Funkhouser and drummer Bertram Lehmann. In return, and as an immense favor to all of those who hear it, they’ve created music that takes listeners to almost as many unique destinations. 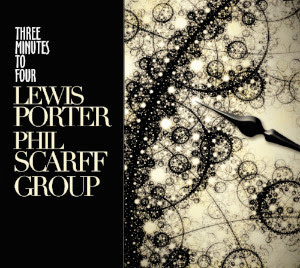 The Lewis Porter-Phil Scarff Group’s new Three Minutes to Four is contemporary, east-meets-west jazz, where Indian raga merges with western classical, where Ghanaian traditional fuses with improvisational, and where organic meets studied. Three Minutes to Four is where stunning performance creates pure jazz excitement. 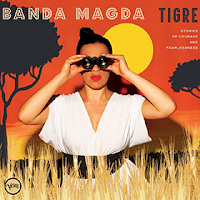 The four musicians here have all been to the crossroads of world music and jazz, which is why this project really sings. Scarff regularly tours India and performs Indian classical concerts at major venues there. Porter, a prolific author and Ph.D., devised the only master’s program in Jazz History and has toured across the US and Europe with names like Liebman, Bartz and Ribot. Both Funkhouser and Lehmann are Berklee profs with a dizzying array of worldwide playing. Three Minutes to Four is at once deeply felt and eminently accessible, a glorious celebration of musical multiculturalism filtered through a prism of real jazz. Jazz bassist and vocalist Miles Mosley's new music video for "Shadow of Doubt" premiered August 18th on Live For Live Music. The video, also available on Vevo, takes a look into Mosley’s life on the road – following his travels and providing a glimpse at his routine as a touring musician. Mosley’s album, UPRISING, on Verve is available now digitally and physically. 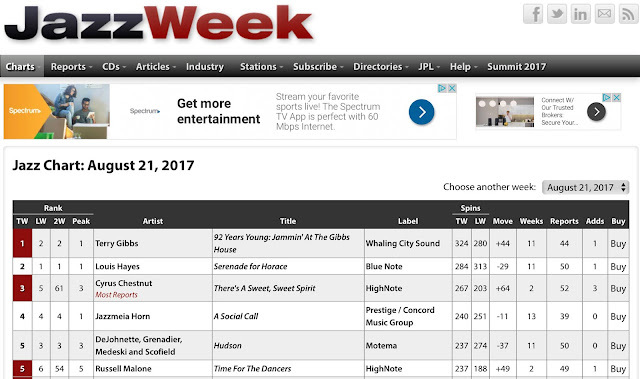 The album garnered wide praise, having debuted at #4 on Billboard’s Contemporary Jazz Chart and #2 on the iTunes Jazz Album Chart. Shadow Of Doubt by Miles Mosley on VEVO. 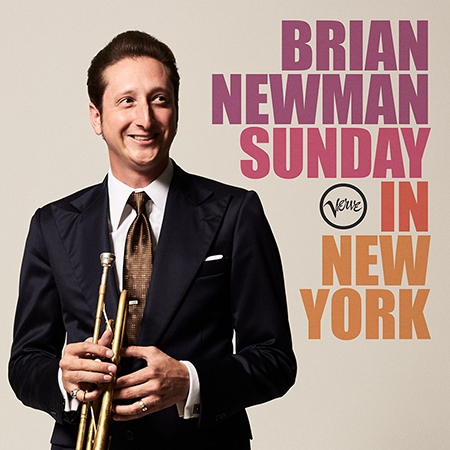 Brian Newman – "Sunday In New York"
Brian Newman, singer, trumpeter and Verve recording artist, is gearing up for the release of his new album with the launch of a four-city “after hours” club tour that kicks off in Chicago on August 25th, as well as new track "Sunday in New York." The tour dates coincide with Lady Gaga’s Joanne World Tour dates so Mother Monster fans can catch Brian’s performance directly after her show ends in those markets. Lady Gaga has often made surprise appearances at Newman’s club dates in the past.